I was chatting to a few of my Power BI buddies during the week about when we thought the December 2018 update would be released. It seemed to me that under normal circumstances the new version is released on or about the first Monday (US time) on or after the 3rd or 4th day of the month. So if the first Monday is 1st, 2nd, 3rd, then it is released on the second Monday (or Tues). That is my ‘feel’ anyway. I thought I would use Power BI to extract the historical blog articles announcing the releases and also thought that would be an interesting blog article in itself, so here goes. 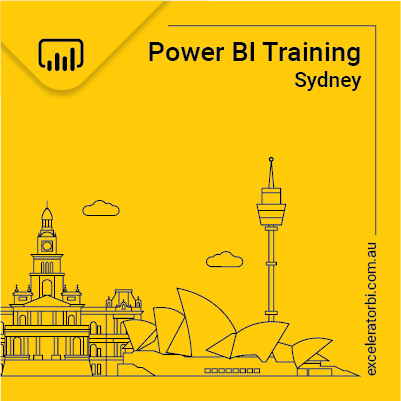 Here is the final results from my report I created using Power BI. It seems the most common day is day 8 and the most common day is Monday. OK, now let me talk about how I built this report. This process is easiest to follow as a video, so I have recorded a video and published it on my YouTube channel (embedded below too). In summary, these are the steps I followed. Find the webpage in a browser that has the information needed. Try to import from web using Power Query. In this case I needed to use the new “Query by Example” feature to import the data. Enhance the raw data with some DAX. 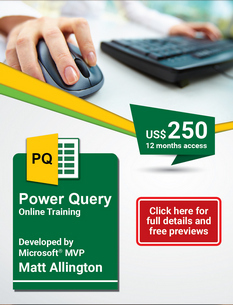 If you like the techniques I used in the video above, you would love my Power Query online training course. This course is 7.5 hours of video instruction where I teach you how to do these tricks and more. You can check out the free preview videos here. This report is actually quite slow to refresh. I am a bit surprised actually and I may have a chat to the Power Query team to see if I have done something wrong, or if there are some optimisations that could be used. Very useful in summarising and analysing data on web even when it is not in tabular format. There are four clickable buttons “Announcements”, “Developers”, “Features” and “Support” under the name of articles. In case the release date is not next to the first button “Announcements” then it won’t be properly retrieved accordingly. How to fix it? Furthermore, Is it a way to get the url of the articles to go to the page of each article directly. I’m not clear what the problem is. Amanda “Announces” the release of Power BI via an announcement on the Power BI blog every month. To the best of my knowledge this query finds that announcement and loads it to my workbook. Yes you can get the URL for the articles (in principle) using the same technique I used in the video. Just add another column and type in the URL you are expecting. It happened when I tried to get all the articles from the blog. Thanks Tom. Please tell your friends you liked my book :-). I would also appreciate a review on Amazon if you have time.